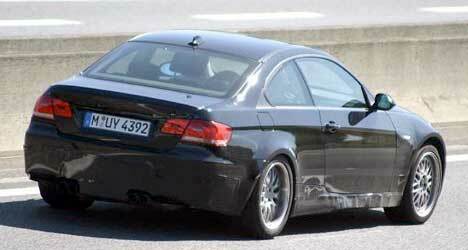 According to Australia’s Drive magazine, BMW’s next-generation M3 coupe won’t arrive for over 12 months. Ulrich Bruhnke (BMW’s M boss) reportedly told the publication the new M3 will appear at the Frankfurt motor show in September 2007. “It will be there definitely,” Bruhnke said. “The Frankfurt International motor show is so important [to BMW] we must show it there.” According to the report, the car will go on sale in early 2008. Many enthusiasts had hoped the car would show up at this weeks Paris Motor Show. Rumours suggest a “concept” version might be shown within the next few months.